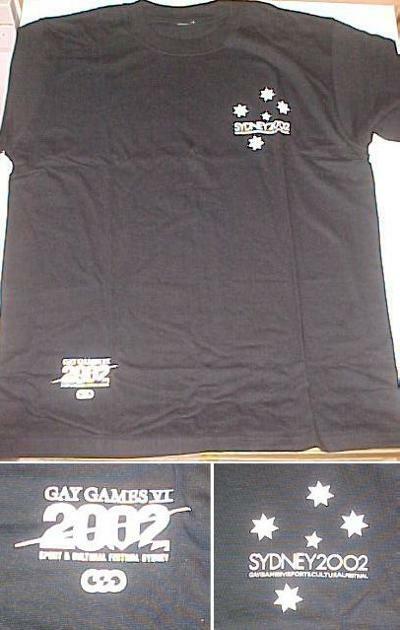 All items shown on this page are residual items from the Gay Games cultural event that was held here in Sydney between 2nd and 9th November 2002. Shipping is generally distance-based - for ONE item, it is roughly the 500gm parcel rate, plus packaging & handling. 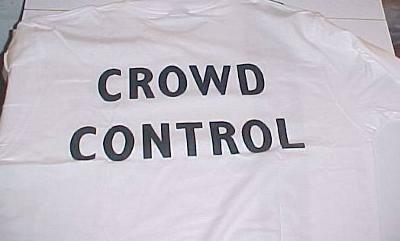 The more you buy, the cheaper per item thom those available. 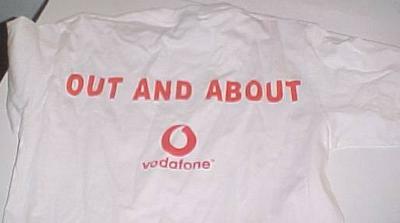 PLEASE NOTE - Some shirts have a choice of size - please ensure your order advises the size you require from those available. 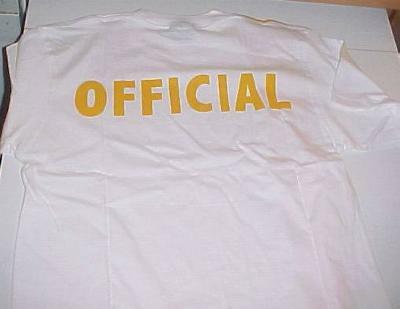 These shirts were only available to event OFFICIALS. 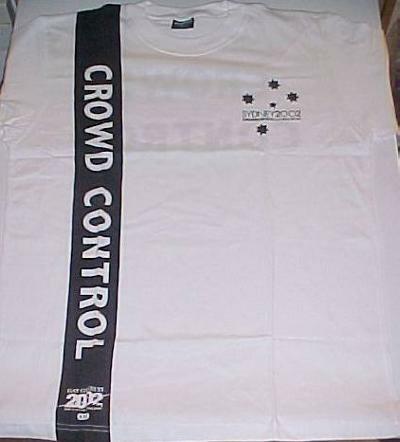 These shirts were only available to event Crowd Control workers. 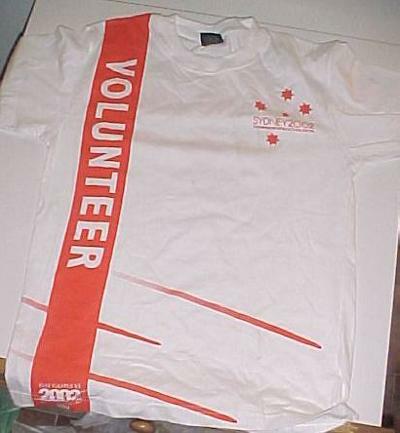 These shirts were only available to event Volunteers . 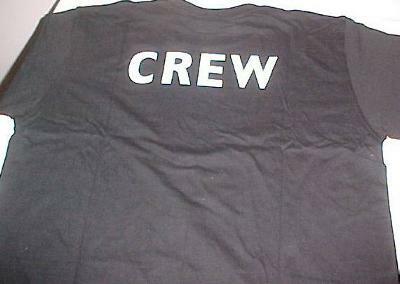 These shirts were only available to EVENT CREW. 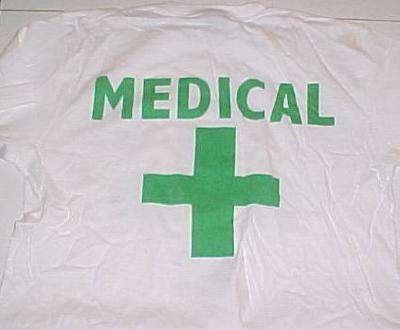 These shirts were only available to event Medical staff. 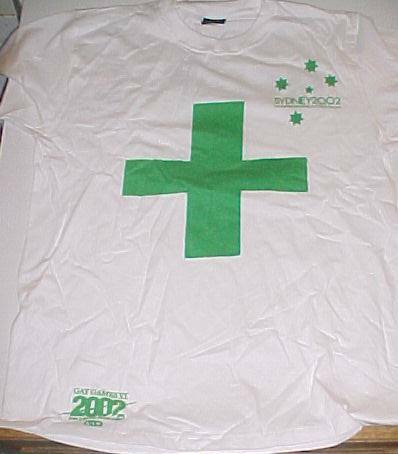 This is a PARTICPATION MEDALLION from the Gay games in Sydney in 2002. 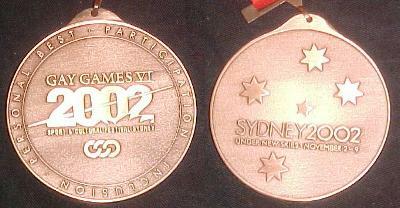 This Medallion is BRONZE level (they had other colours but I dont have them) and Says it is a Participation Medal. 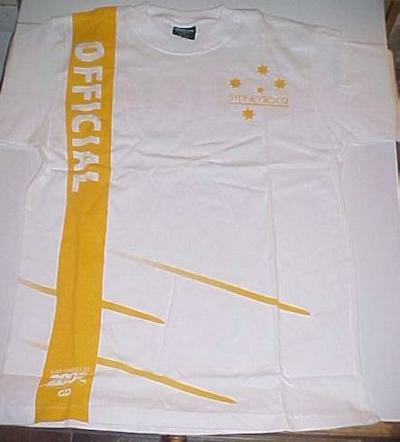 It is 7cm diam and 3mm thick, with a ribbon long enough for passing over the recipients head at presentation of the medal.